We are in pre deployment, with training starting on the Wednesday 14th October @ 1900 hours GMT. Deployment will start on Saturday 17th October @1900 hours GMT We will be deploying into Iraq. Our operation will be against ISIS. 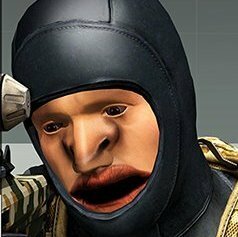 Welcome to the British Special Forces Recruitment thread on Bohemia. We are a British Special Forces Milsim Group for ArmA 3. we are a gaming group that has based itself off the British Army's 1st Battalion, Parachute Regiment (1 PARA). We enjoy playing the game in the most realistic way possible whilst using the real world tactics that the game allows us to use. We aim for full immersion and military simulation. The operations we have are kept controlled and organised to minimise frustration and hassle. The operation briefing starts at 19:00 GMT Wednesday & Saturday. During the briefing we discuss the mission and organize ourselves into squads in-game. We welcome people from all over the world, feel free to jump on Teamspeak and talk with us. Teamspeak - british-special-forces.com APPLY HERE - http://www.british-special-forces.com/Forum You can add me on steam Gaffey.M 1 PARA The 1st Battalion, Parachute Regiment (1 PARA), forms the United Kingdomâ€™s Special Forces Support Group (SFSG). An airborne light infantry unit, the battalion has since 2006 been the main contributor of manpower to the Special Forces Support Group (SFSG) and is capable of a wide range of operations. Personnel regularly deploy outside of the United Kingdom on operations and training. All personnel complete the Pre Parachute Selection (P Company) course at the Infantry Training Centre Catterick Garrison, North Yorkshire (previously at Aldershot, Hampshire). The 1st is permanently attached to the SFSG. Once selected, they receive further training on additional weapons, communications equipment and specialist assault skills. 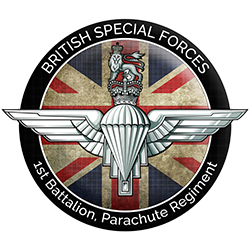 All men within the Parachute Regiment can expect to serve with the SFSG on rotation. This ensures that the advanced military skills taught to the SFSG are maintained in the other two regular battalions. Under Army 2020, it is expected that 1 PARA will remain as part of the SFSG.